All donations are tax-deductible! 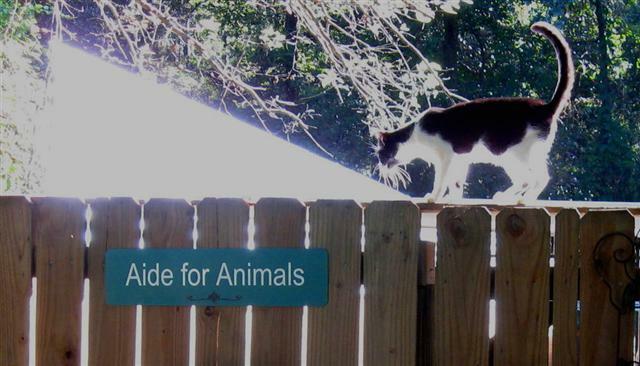 Either by mail or PayPal or through Causes on Facebook https://www.razoo.com/story/Aide-For-Animals Thanks! 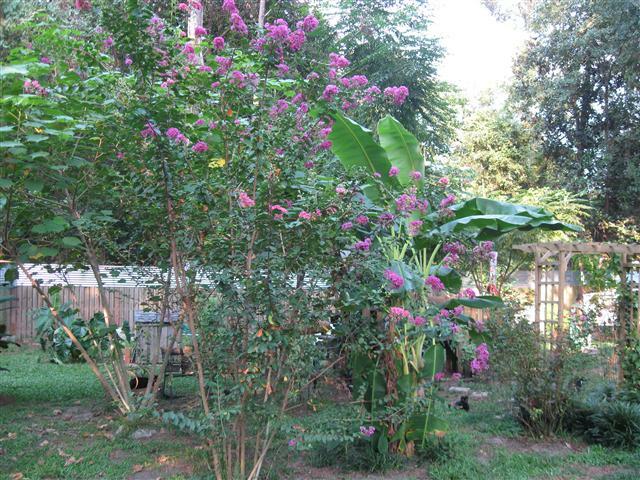 This is a wonderful safe, park-like area with shelter & structures for the cats to play and climb on, with cat friendly flowers, shrubs and garden elements for aesthetics (so cats can do what cats do best……eat, lounge around and be lazy, with intermittent playing in a safe and secure area)! Repairs and upkeep are always needed. This project has cost much more than we had planned. We’ve already spent over $15,500 and would like to make this even more special. 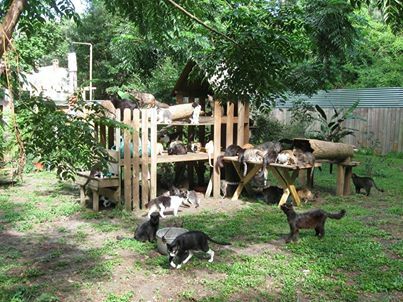 We are constantly working on our cat yard putting in more plants, walkways, shelter, and play areas. However several storms have damaged this area and your tax-deductible donations are needed. 2. Repairs to old cattery – general renovations and repairs, paint, roofing, flooring, air/heat, plumbing, elec, etc. All donations are tax-deductible! Either by mail, Pay Pal or causes on Facebook or of course, in person – Thanks! Receipts are mailed out promptly. Yes! We are having a fantastic yard sale on November 4. Please go to our fundraiser section of this web site. There is a poster on there with time, location, etc. At this time, we are unsure if we are going to have any more fundraisers this year, but please keep in touch because we have several ideas we are batting around. Thanks for asking, and we hope to see you there! Hi, Kay. I’m so sorry I’m just now getting back to you. I am just now learning my way around our website. We are proud to be a part of #GivingTuesday this year. If you will give us your email address, I will send you the info. Thanks for your interest!